Krizza Neri has indeed growing out of her shell and venturing into the world of entertainment with the release of her new self-titled album, Kirzza. From the reality show Protégé, she is now on her way to be the next singing idols of the country. Sometimes to hear (and to see) is believing, so at her Listening Party recently with other bloggers and online media, she showed that her talent was indeed refined by practice and various competition. And at her young age, she is definitely ahead of singers of her age. No wonder she won the competition. 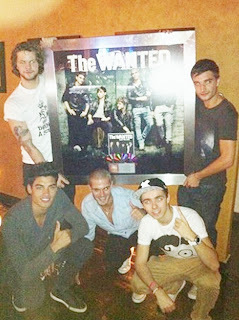 MUSIC LYF: The Wanted - Presented with a Triple Platinum Award in the US! UK’s most popular boy band, THE WANTED, was presented with a Triple Platinum award in the US for their #1 single “Glad You Came” on August 22. The band have enjoyed global success with over five million singles and one million albums sold, with six UK top five singles, two of which hit the #1 spot in the UK charts. The TW Fanmily or TW Fanmilya in the Philippines (teenage fans of The Wanted) have hyped up the band through social networks, with 224 million views on You Tube/Vevo, over 2.3 Facebook likes and over one million Twitter followers worldwide. Well done, The Wanted! Catch Manila’s most wanted boys Max, Siva, Jay, Tom and Nathan as they perform Live! 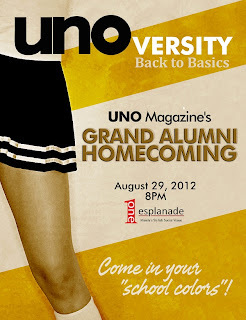 on September 14, Friday, 8pm at NBC Tent, Fort Bonifacio, Taguig City. The Wanted brought us the awesome tunes “All Time Low”, “Glad You Came” and the hottest summer single, "Chasing the Sun". For those having the 3 day sale at SM Southmall. You may want to join in the raffle so you can win one of of 3 units of ASUS Eee PC X101H! 1.Every P500 single or accumulated purchase, within the promo period, from SM Department Store, SM Supermarket/Hypermarket or from any participating mall establishment entitles shopper to one (1) raffle coupon. SM Foodcourt Customer gets one (1) raffle coupon with every P150 single purchase receipt. SM Cinema Customer gets one (1) raffle coupon with every single purchase of four (4) cinema tickets. Amusement Centers Customer gets one (1) raffle coupon with every P150 worth of tokens. Global Pinoy members may present their Global Pinoy cards, along with a minimum P500 worth of single or accumulated purchases from mall establishments, to avail three (3) additional coupons. Four years ago, online heartthrob Kimpoy Feliciano’s family decided to migrate to Dunedin, New Zealand. Just like any kid in his situation then, he had no choice but to oblige in his family’s decision to move to a new place, away from his other family, friends, and classmates. Luckily, social media has bridged the gap between Kimpoy and his loved ones in Manila and Bulacan. Through sites like Tumblr, Facebook, Youtube, and Twitter, he has reconnected himself to the Philippines without being physically present in the country. Disney Live! Mickey’s Rockin’ Road Show At The Smart Araneta Coliseum! Kids and kids at heart, its time to relive our childhood fantasy with Disney characters that will come to life at the Smart Araneta Coliseum this September 5 -15, 2012. And we don't to fly to Hong Kong just to have that magical Disney experience with Disney Live! Mickey’s Rockin’ Road Show this September! DISNEY LIVE! Mickey's Rockin' Road Show Stars Micky Mouse and Friends in Hilarious High-Energy Adventure! Disney Live! Mickey’s Rockin’ Road Show, Feld Entertainment’s all-new live stage production starring Mickey Mouse in a fun-filled road trip and talent search adventure, performs at Smart Araneta Coliseum from September 5 to 15, 2012! 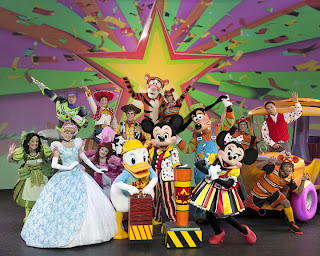 Spotlighting favorite Disney characters such as the ever-lovable Tigger; Cinderella and her comical stepsisters; and Buzz Lightyear, Woody and friends from Disney/Pixar’s Toy Story; Disney Live! Mickey’s Rockin’ Road Show unfolds through an original, laugh-out-loud storyline that whisks audiences away on a wacky journey. BIG Sale at SM Southmall! It will be a BIG weekend, and its a payday weekend, down at the south of the metro, shoppers rejoice with the BIG SALE at SM Southmall. Enjoy a lot of discounts and great products available in their stores and restaurants mall wide. The sale starts on August 31 until September 2, 2012. SM Advantage, SM Prestige and BDO Rewards cardholders will enjoy exclusive additional 10% off on the SMAC First 2 Hours on Aug 31! 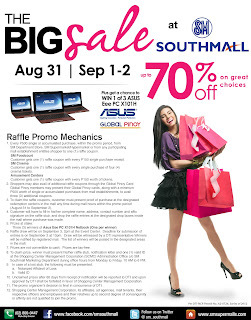 If you also see THE BIG SALE at SM Southmall posters or banners inside the mall, take a photo via Instagram & tweet to @sm_southmall. You could win P5,000 worth of SM Shopping Money! SM 3 Day SALE This Weekend at SM City Manila! After the "Habagat" it was a time again for some spring cleaning, disaster preparedness and change. And even with gloomy and rainy weather ahead this season, it is actually the best time for some rainy day sale shopping this payday weekend. This time the SM 3 Day Sale goes to SM City Manila. SM CITY MANILA'S 3DAY SALE on August 31, September 1 and 2, 2012. The mall also have a lot of promos from stores in the mall like these below. A stitch in time saves nine! So goes the adage and this rings true with UNO Magazine this year! As the must-have read of every yuppie, young and old, UNO Magazine adds a feather in its cap as it proves to be a major player in the men’s magazine industry. So have you guys missed Nancy Castiglione? Ornusa Cadness? Or Anne Curtis? How about all the other amazing goddesses of the UNO universe? Well, fret not ‘coz you’ll see them all again – and this time – in a single place: UNO’s 9th Collector’s Issue (Limited Edition). Yes, you’ve read it right! UNO, the metropolitan man’s reading companion, turns a new leaf as it celebrates its 9th anniversary this month with the release of its 9th year collector’s issue plus an all-night party with all your favorite cover girls to boot. Isn’t that “heaven on earth”? The great music of the APO Hiking Society already is a legend in OPM which has been venerated by many artists and even made a tribute album with popular artists and bands making their own rendition of the songs. Now we sometimes ask ourselves, why not make it a musical? That is what critically-acclaimed writer-director Chris Martinez have weaved together the timeless songs of APO into one musical movie of the year, I DO BIDOO BIDOO Heto nAPO sila. SM City Fairview keeps up with the changing trends of today's fashionable society with the launch of LOOK BOOK that happened in the mall last August 24, 2012. The show featured collections from different clothing stores found in the mall. And with the coming seasons like rain and Christmas (Fall and Winter seasons) almost just around the corner, being in style with these fashion trends is a must for every fashionista! The fashion show indeed was filled with beautiful clothes and models in which special guest include Daniel Matsunaga and Wilma Doesnt who made a mark in the runway. Even regular shoppers in the mall were glued to the event seeing the fashion show. And with its success, I congratulate the organizers for all the creative effort for this trending show! According to the International Franchise Association (IFA), franchising currently represents 18 million jobs and $2.1 trillion worth of economic activity in the U.S. In Southeast Asia, the Philippines leads in terms of franchise concept development. 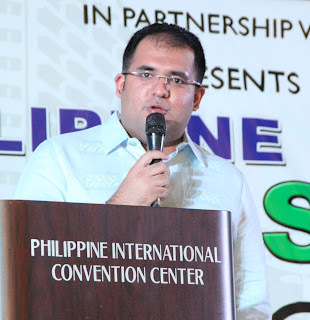 Last year, more than 124,000 franchisees offered the products and services of over 1,100 franchisors in the country. The industry generated more than a million jobs while recording a total of $9.45 billion output—equal to five percent of the country’s total gross domestic product (GDP). PFA Chairman Lim said that the recent growth can be attributed to the entry of new players from micro, small and medium enterprises (MSMEs), the continued rise of the business process outsourcing (BPO) industry, and the introduction of indigenous and food concepts. For most of the proteges, this week's gala night is just one of a series of nerve-wracking, anxiety-ridden activities that they have to go through as the road to the big artista break gets narrower each week. But for North and Central Luzon protege Reese Tayag, this week's elimination night is the end of her journey in the competition. Reese was eliminated after scoring the lowest in an acting performance wherein all proteges were given the chance to act alongside the "Diamond Star" Maricel Soriano in five short films directed by Cannes Film Festival awardee Brillante Mendoza and written by Palanca awardee Floy Quintos. Win Katy Perry Part of Me 3D Tickets! Katy Cats! Get tickets to see Katy Perry's most-awaited 3D documentary movie! The Philippine premiere on August 28, 2012 at the SM Megamall Cinema 2 at 7PM is brought to you by SOLAR ENTERTAINMENT, X-MINI, POLYEAST RECORDS and ASTROPLUS! * Buy 1 Katy Perry "Teenage Dream: The Complete Confection" album (PHP500) at any Astroplus/Astrovision branch or online (order here: http://bit.ly/JV2ZQp -- FREE SHIPPING!). * Buy 1 X-mini™ II Capsule Speaker™ (X-mini V1.1, Gen 2 & Max V1.1 which price ranges from Php 999 to Php 1,790) at any of the following Astroplus/Astrovision branches: Greenbelt 5, SM MOA, SM Megamall, Shangri-la, Trinoma, Robinsons Ermita and V-Mall. After seven fruitful years in the recording industry, rock band Callalily remains to be one of the country’s foremost acts, and the band has all the reason to be thankful. The band’s gratitude is lovingly expressed in their newest single Pasasalamat, which will be part of their soon-to-be-released first album under Universal Records. 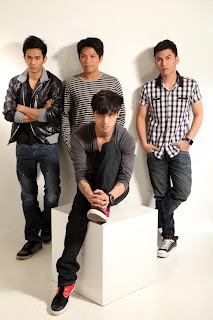 The band is composed of Kean Cipriano, Tatsi Jamnague, Aaron Ricafrente and Lemuel Belaro. 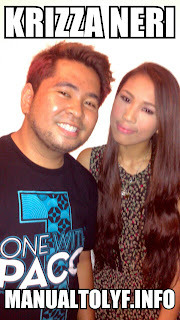 Electrifying performances in Party Pilipinas O.A. Be ready for over the top performances from the country's one and only concert party on television with Party Pilipinas O.A.! This Sunday, Premiere Singer-Songwriter Mr. Ogie Alcasid will celebrate his birthday and his 45 years in the business in Party Pilipinas. Also celebrating her birthday is the Fierce Songstress Rachelle Ann Go, who will embark on a unique vocal challenge. Stay tuned to witness a surely outrageous vocal showdown between resident divas and proud gay biriteras on this week's edition of "VOX Challenge". 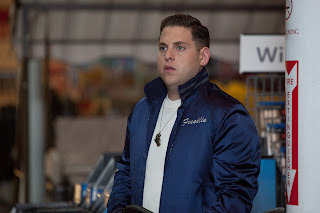 Ben Stiller and Vince Vaughn reunite in “The Watch” along with Jonah Hill and British comedian Richard Ayoade who band together in the film to uncover the mysterious events happening in their neighborhood. She is Hazel Klenk Reyes or more popularly known as Ara Mina. In her more than two decades in local showbiz, she became one of the most controversial actors of her time. GMA Network Tween star and primetime actor Derrick Monasterio formally signed an agreement with the National Youth Commission to be an advocate of the Youth Drug Abuse, Prevention and Control project of the NYC. UNIQLO announces that its final collection based on the collaborative design project with acclaimed designer Jun Takahashi, and his cult-hit Undercover fashion label released in the Philippines last August 22. Similar to the spring-summer collection, the 2012 fall-winter collection will focus on a family theme and include a line-up of apparel for women, men and children. The first phase of the new collection will go on sale at the UNIQLO store in SM Mall of Asia, as well as UNIQLO stores in 11 markets outside of the Philippines. In today's society, we tend to do a lot of online work/leisure to make the most of our time. And facebook is one of the things that takes a large chunk of our time. Sometimes, we need to be logged on almost all day just to keep ourselves updated, and even also do games. 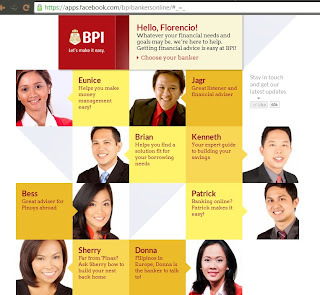 The Bank of the Philippine Islands (BPI) has made another innovation with the use of our favorite social media site and made a facebook application that will serve the public with your financial inquiries. I actually tried the app myself to see if they would help me in building a better financial future. And the best thing is that they are not robots! They are real human finance experts with different backgrounds but with great financial finesse. You can also create a appointment with a branch near you to assist you will further services. Try it yourself now, and this time , you don't have to log out of facebook to make you online banking questions! It has been sad for the Filipino people especially the Bicolanos to lose a great leader like DILG Secretary Jesse Robredo in the ill-fated plane crash in Masbate. The remains of the late Sec. 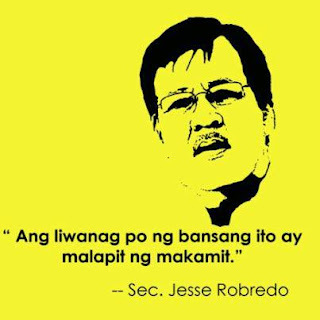 Jesse Robredo will be brought to Malacañan Palace tomorrow, August 24, and will be lying in-state at the Kalayaan Hall until Sunday. Expected arrival in NAIA from Naga is 10:30am. At 10:00am, students and DepEd employees will line up the route from Villamor Airbase to Malacañan and wave yellow flags as a sign of giving honor to the late Secretary. Each year, SM City Fairview holds a fashion show that aims to promote mall’s fashion retail stores and to brand SM City Fairview as a fashion haven of the North East Metro in the long term. 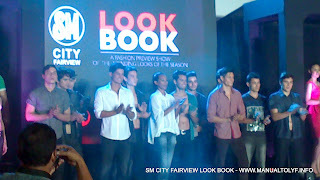 For this year, SM City Fairview will be taking it a notch higher by staging again a major fashion show to be dubbed as “Lookbook” on August 24, 2012, 6pm at the Annex Atrium, SM City Fairview. The “Lookbook” Fashion Event will revolve around fashion trends of the season in diverse styles, statements and inspirations. The over-all concept is hinged towards digital and new media such as Facebook, Instagram, Wordpress, Twitter, etc. which are all meant to be shared. Why Look Book? In these times when a day is not complete without checking on Facebook, Twitter, Tumblr and Instagram, communication is everything. And everything is about SHARING. Filipino broadcast company GMA Network, Inc. (GMA) firms up its nationwide leadership with the recent launches of two additional originating stations in Luzon. In June this year, the Company opened its originating station in Ilocos thru Channel 5 in Ilocos Norte and Channel 48 in Ilocos Sur, covering parts of Abra. The Ilocos Station, an investment worth over P100 million, has competitive signal strength that services over 218,000 estimated television households. The University of Bradford School of Management (BSOM) has announced the opening of fall registration for its MBA programme in Manila. Subjects being offered for fall classes which will commence on October 2012 are Strategic Management, Business Accounting, Business Economics, Corporate Finance, and Corporate Marketing. The only school in Manila with AMBA and EQUIS accreditation, Bradford’s Executive MBA programme flies in international faculty to facilitate classes in person. Local tutors assist to bring relevance and application to various topics and issues. 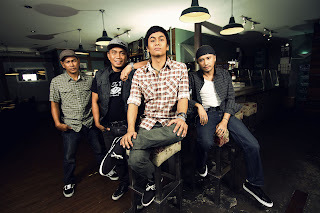 After 5 years n the Philippine Music Industry - including 4 releases with MCA Music Inc., chart topping singles, nationwide touring, a 2 year stint on mainstream television and opening for Kelly Clarkson at the Araneta Coliseum - Miguel Escueta and co. are now on the cusp of the global music scene. 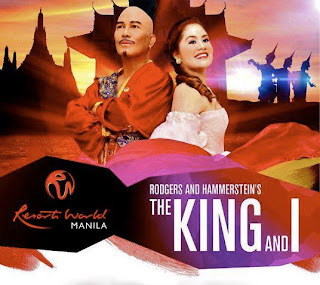 Considered as one of the most beloved classic musicals in Broadway and the West End, The King and I will take its course once more to the Philippine theatre scene this coming September. With the success of “Kaos”, the first exclusive theatre offering of Resorts World Manila, and the victory of the longest running Filipino production of a Broadway musical “The Sound of Music”, the Newport Performing Arts Theater (NPAT) will again open its center stage to bring another Rodger and Hammerstein timeless classic about heritage, culture and a different facet of love. This third theatre offering of Resorts World Manila promises to captivate the audience with top of the class performances by its extremely gifted all-Filipino cast, as NPAT offers its state-of-the-art venue to stage this much-awaited musical, with the biggest LED wall in Asia that will provide the dynamic theatrical panorama and visuals to complement each scene. Guitarist Whakaio Taahi and his compadre bass player, Cameron Adler, needed a frontman for a rock project. Scrap that. Frontwoman. Enter ingénue-with-attitude, Jenna McDougall – as soon as the sixteen-year-old songstress’ soaring contralto and sweet strains took the mic to their songs, something clicked. Already onboard, rhythm axeman Jake Hardy and new recruit, drummer Matt Best – a childhood buddy of Whakaio’s. One jam later, the writing was on the wall. Tonight Alive were up and running, pedal to the metal. 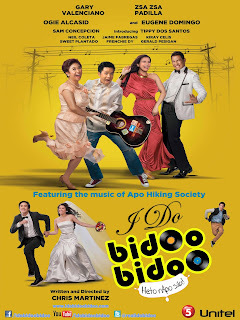 Unitel Pictures and Studio 5 brings this year the most festive movie musical of the year with “I DO BI DOO BIDOO” featuring the hits of the APO Hiking Society, written and directed by hitmaker Chris Martinez. Starring a star studded cast of Ogie Alcasid, Gary Valenciano, Eugene Domingo, Zsazsa Padilla, Sam Concepcion, Tippy Dos Santos, Neil Coleta, Kiray Celis, Gerald Pesigan, and Sweet Plantado. With a great array of the hits of the Apo Hiking Society, integrated into a great love story with a great cast makes it a movie to watch out for. The movie centers on the 'pamamanhikan' in the life of the young bride and groom to be – an event that every Filipino family has to or will inevitably experience. A rich girl from the province, Tracy Fuentebella, and a poor boy from Manila, Rock Polotan, arranged a meeting of their two families – the Polotans and the Fuentebellas - before getting married, resulting in a disaster of “movie musical” proportions! For Dr. Rizal Aportadera, founder of the Mindanao Burn Center, the recently concluded I-Witness Docufest in Davao City was more than just a chance to watch first rate documentaries from GMA-7’s flagship documentary program. It was a chance for him to personally thank the men and women behind the documentary “Lapnos” by Jay Taruc. “Lapnos,” which recently brought home the Silver Medal in the 2012 New York Festival, tells of the harrowing tales of burn victims from the Mindanao Burn Center. It was one of the eight documentaries showcased in the third leg of the I-Witness docufest Regional Tour held last Sunday, August 12, at the Cinema 5 of Gaisano Mall in Davao City. In the event, Dr. Aportadera explained how people started to take notice of the Center after watching the documentary. He further added how donations started pouring in to help the burn victims.